Today, EA announced what could be Mass Effect 3's biggest DLC pack to date which will be available to download for free! Mass Effect 3: Retaliation ups the challenge by adding treacherous environmental hazards to existing maps and will introduce the infamous Collectors as a new enemy faction in Multiplayer. 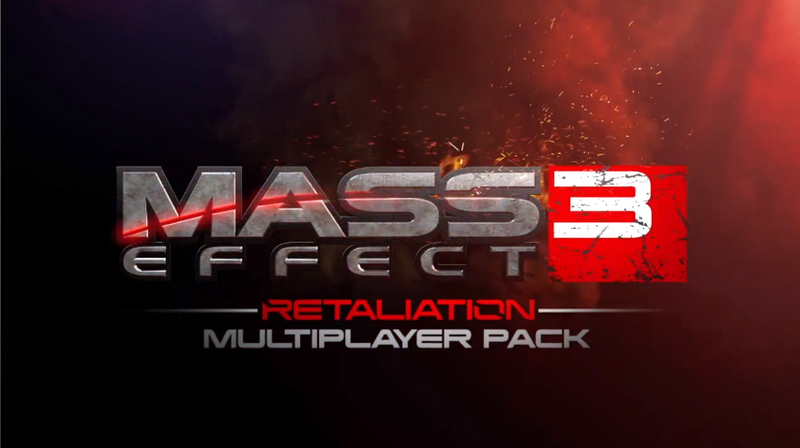 Mass Effect 3: Retaliation will be available to download on October 9th on Xbox 360, Origin and PlayStation 3 in North America. Europe will be getting their hands on the DLC on October 10th. New “Hazard” Versions of Existing Maps – Wage war across six maps as a regular rotation of Firebases will be introduced to different hazards and traps. Survive the onslaught of Acid, Lightening,Meltdowns, Sandstorms, Swarms and Whiteouts! New Deadly Enemy Faction – Prepare to face off against the Collector Praetorian, Scion, Abomination, Trooper, and Captain. Reports have also come in that Cerberus has enlisted the Dragoon to their ranks and the Geth are deploying new Drones to the battlefield. New Unlockable Weapons – The Collectors have also brought deadly new weapons to the fight: the Collector Assault Rifle, Sub-Machine Gun, and Sniper Rifle. Unlock these weapons and new equipment upgrades to build to your arsenal. New Class Kits to Unlock – A host of new characters have joined the war to fight this new threat, including the Turian Havoc Soldier, Turian Ghost Infiltrator, and more added as the weeks progress. New Powerful Upgrades – Outfit your weapons with three new ammo modifications and fortify your gear with five unique upgrades to defeat even the toughest foes. New Multiplayer Challenge Feature – Think you are the best soldier in the Alliance? Make sure to track your progress in the new “Challenges” database. Complete various Multiplayer assignments and feats of strength to unlock titles and banners to display in-game, and then compare your progress against your friends.